The council has now published the draft local area plan for Sallins to cover the period 2015-2020. The draft plan was agreed following a special meeting of the council last month and is now on public display from 1 December 2015 until 8 January 2016 (read the notice on KCC’s website here). 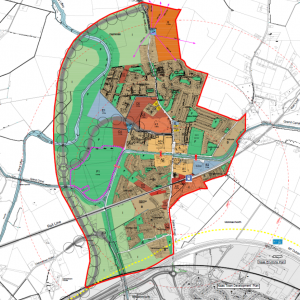 The full draft local area plan can be viewed online here. Every five years the council publishes a Local Area Plan (LAP) for towns and villages which sets out a roadmap for how they will be developed over the coming years. In particular these LAPs set out where future building development can take place, the density of such development, and the type of development, e.g. residential, commercial, amenity/green space etc. At this point in time, the draft of the Sallins LAP 2015-2021 is now on public display until 11th August 2015. While on public display, the public are offered the opportunity to make submissions regarding the LAP. This is an important occasion in the lifetime of every town. I would always encourage that people get involved in this process and make their opinions about the future development of Sallins heard. Every five years the council produce a planning blueprint for an area, known as a Local Area Plan. 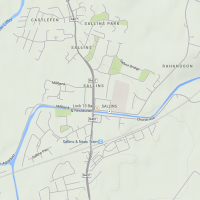 The last plan for Sallins was adopted in 2009 and a new plan is in design at present. 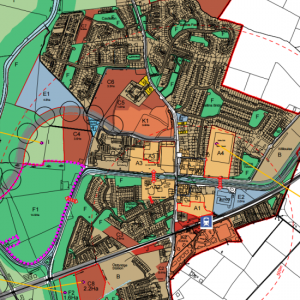 Some early discussions on that have been had at recent Naas district council meetings and I would expect a draft of the plan to go on display later this month. Amongst other things this will help identify lands for e.g. a playground, industrial activity, any increase or decrease in housing zonings etc. I will keep everyone posted when that plan is made available for review.